Our Staff - Garrett Insurance Agency, Inc.
Stephen is the President of Garrett Insurance Agency, Inc and has been in the agency since 1986. He handles all lines of insurance, however, his main focus is on Commercial/Business Insurance. He is a cyclist/triathlete & enjoys flying around the Hill Country as a private pilot. Stephen & his family are members of City West Church. 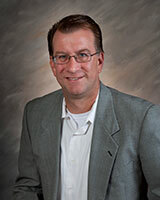 Kevan is the Commercial Lines Manager at Garrett Insurance & has over 20 years of experience in the insurance industry. He joined our staff in 2011 and strives to tailor the needs of his clients with the best product available. 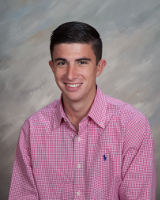 Kevan is a native of Kerrville & very involved in the Hill Country Crush Soccer Academy & Trinity Baptist Church. 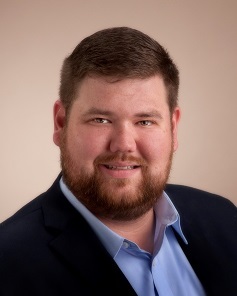 Jeremie M. Krehbiel, CIC, CISR, CSRM, AIP joined the Garrett Insurance agency in March of 2016. Growing up in a residential building and dryland farming environment combined with professional experience in commercial construction and trucking prior to entering the insurance industry in 2007, have enabled him to effectively handle small to middle market sized business in these segments. 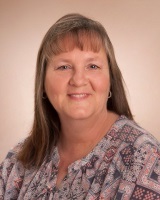 Linda is our Personal Insurance Agent and has been in the insurance industry since 1988. Along with the years of experience as an Agent she has access to multiple national insurance companies that she can match to the Clients for the best combination of price, coverage and service that is right for you and your family. 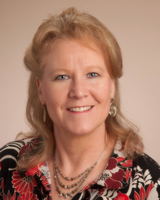 Linda is experienced in Home, Auto, & Life Insurance products. 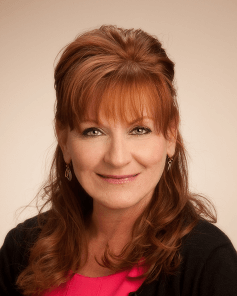 She has been awarded the Texas Monthly Five Star Home/Auto Insurance Agent for 2011, 2012, 2013, 2014, 2015, 2016, 2017 & 2018 - this award is given to the 1% Central Texas Agents based on Client Satisfaction. Having lived in Kerrville since 1982 & raising two children here, she has strong ties to the community. Terry attended Texas State University in San Marcos, Tx and lives in San Antonio. Terry joined our agency in 2016 and specializes in Commercial, Farm and Ranch, and Employee Benefits. 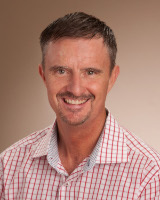 Terry has 11 years experience in the insurance industry. 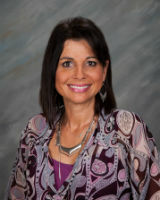 Zabrina joined the Garrett Insurance Agency staff in the summer of 2008. She is our Personal Lines Customer Service Representative Vice-President and is licensed in Property & Casualty as well as Life & Health. 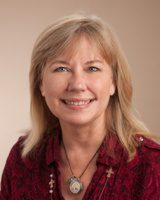 Zabrina is active in the local community & non-profit organizations. She is also an avid cyclist//triathlete. 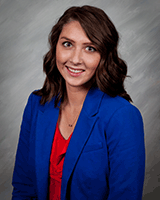 Her professionalism and work ethic adds strength to the Garrett Insurance Agency team. Zabrina works diligently and is committed to providing incomparable customer service to our valued client base. 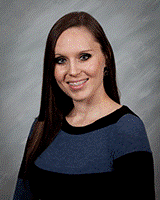 Tamara has been with Garrett Insurance Agency since 2011. 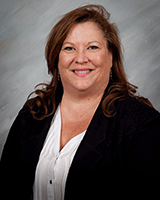 She is our Commercial Lines Customer Service Representative Vice-President & Executive Assistant. She is licensed in Property & Casualty. Her meticulous nature makes her a real asset in dealing with our Commercial clients & their Certificates of Insurance. Tamara was raised in Kerrville & loves spending time with her family. 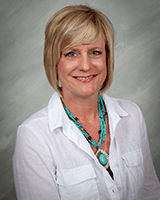 Pam was with the Texas Hills office when it was acquired by Garrett Insurance Agency in April of 2013. 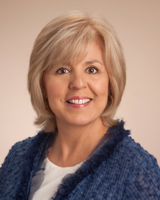 She has over 37 years of experience in the insurance industry and works in our Commercial Lines Division. She is a licensed agent with her Certified Insurance Service Representative & Certified Insurance Counselor (CIC) designations. Pam has lived in Kerrville most of her life & is very active in the American Cancer Society's Relay for Life. 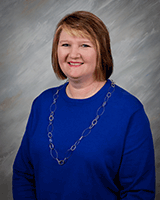 Lori came to Garrett Insurance Agency with the acquisition of the Texas Hills Insurance Agency in April of 2013. 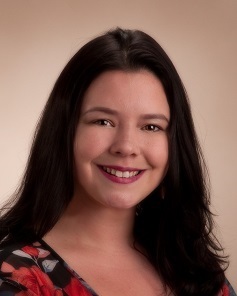 She has worked in the insurance industry since 2002 & is licensed in Property & Casualty. She is an Accredited Customer Service Representative (ACSR). 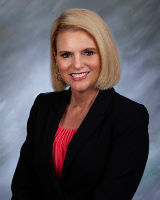 Her easy-going demeanor puts clients at ease when discussing their insurance needs. Lori & her husband have lived in Kerrville area since 1985 & have raised two lovely daughters here. 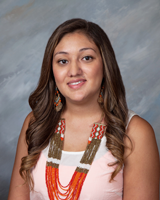 Mia joined the Garrett Insurance team in 2013 as a Commercial Lines Customer Service Representative. She is licensed in Property & Casualty. Mia is fairly new to the insurance industry, but with her determination and drive to achieve, she is a very valuable member of our team. She & her husband have lived in Kerrville for 8 years and have one daughter that attends Tivy High School. Cheyenne has been with our agency since 2014. She holds a Property & Casualty License & services the needs of our Personal Lines clients. 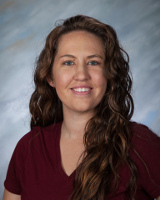 Alyssa joined our office as our receptionist in October of 2015. She, most likely, will be the first voice you hear when calling our office. 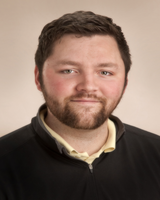 Caleb has joined our team part-time as he continues his education at Schreiner College. Caleb will help with receptionist duties, but, will also be in charge of marketing (which is what he is studying at Schreiner in addition to business). Caleb is now the fifth generation of the Schmerbeck family here at Garrett Insurance! I began my insurance career 9/1/1969 as a life insurance agent for Prudential Insurance Co. and soon came to realize financial planning included casualty and property risk as well. In 1971 my interest in being a risk manager led me to join a property and casualty agency. Became a partner in a Property and casualty agency owner in 1981 . In 2010 bought all the interest in the agency from my business partner . Owning and operating a business helped me to understand what it takes to be successful. In order to perpetuate my career found a fantastic agency, Garett Insurance , that will allow me to do that. Giving back to community, church , friends , and customers has always been important to me. We were able to do this serving in various capacities as coaching little league football, Kiwanis Club, Crime stoppers Board, Chamber of Commerce , Embassy Club, Band Boosters Club. Golden Girls Booster Club, Montgomery County IIA, Football Boosters Club, Founding member of Conroe Community Church, and Conroe Country Club Board . 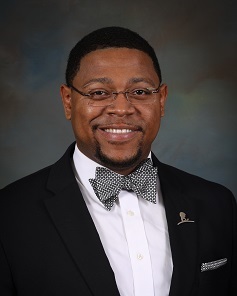 Karlos Murphy joined the Conroe office in 2018. He comes with 10 years of insurance experience and is licensed in Property and Casualty along with Life and Health. He attended The University of Tennessee (Go Vols!) and is an avid sports fan. What he enjoys most about his field is finding the best solutions for his clients. In his spare time, he loves spending time with his wife, son, and dog attending events in the Houston area. Nancy Schmerbeck attended The University of Texas at Austin and received a Bachelor of Arts degree in Psychology in 1989. During the four years of college, worked as a cosmetics representative for Clinique Cosmetics Laboratories. Following graduation, her first full time position was with Trammell Crow Real Estate Development as a property manager. This experience took her to several direct sales marketing ventures, most notably, Vaxa, a nutraceutical enterprise, where her position was Executive Vice President. Primary responsibilities involved overseeing the entire operation of the company. Following the sale of Vaxa, served as President of the Calvary Christian School Parent Teacher Board, where her son attended. Her next career move took her to World Ventures, where she was the Controller for multiple distributorships, in addition to training the sales team and ambassador for Deductr Software Systems, which aided the salesmen in tracking their personal income and expense exposures. A breast cancer survivor, she is currently a spokeswoman for Genentech Pharmaceutical Corporation as a patient ambassador. 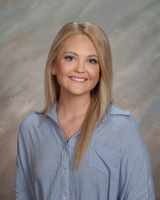 In 2018,she decided to channel her extensive sales experience to the insurance industry, when she joined her family agency that was established one-hundred years ago. Currently serves as an active committee member of the Woodlands and Conroe Chambers of Commerce. A devoted mother of two, her son plays on the Canadian PGA tour and her daughter and son in law reside in Florida where they work in the insurance industry. Stephen is the President of Frantzen, Kaderli & Klier Insurance Agency, Inc. (which is a wholly owned subsidiary of Garrett Insurance Agency, Inc.). Stephen splits his time between Frantzen, Kaderli & Klier & Garrett Insurance. Stephen has been in the business since 1986 & is the fourth generation from his family to be in the insurance profession. He handles all lines of insurance, however, his main focus is on Commercial/Business Insurance. He is a cyclist/triathlete & enjoys flying around the Hill Country as a private pilot. Stephen & his family are members of City West Church. Kim began an insurance career in 1994 & enjoys helping customers find the right package in auto, home, life, health & commercial insurance. She has a strong & loyal customer base due to her exceptional customer service. She focuses on their needs, takes the time to listen, & explains all aspects of the insurance coverage. 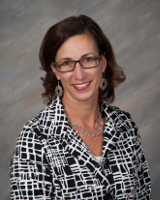 Kim started with Garrett Insurance Agency, Inc. & is now managing the Frantzen, Kaderli & Klier office. Wes has been in the insurance industry in many different ways. He started in his families agency in Kansas helping quote home & auto policies, delivering paper work, or tagging along on farm visits. 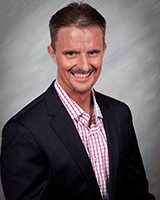 Wes then spent time as a claims adjuster while in college for Allied/Nationwide Insurance. Next he spent a summer learning supplemental insurance as an intern with Aflac. He is one of the very few Texas agents certified with an AFIS (Agribusiness & Farm Insurance Specialist) designation. He enjoys spending time with insureds he considers "salt of the earth". Ranchers, grape growers, dairy operators, cotton farmers, & even the very common in the Hill Country "hobby farmer". He married his wife, Kim, in 2012 & they currently have two children, Jet & Stella. They enjoy watching the Kansas City Royals, cooking, fishing, & hunting. Wes & his wife are members of Trinity Baptist Church in Kerrville. A Fredericksburg native, she is a graduate of the University of Texas in Austin with a BS degree. 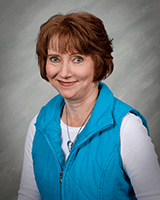 A lifelong member of Holy Ghost Lutheran Church, she & her husband were married there in 1990. They moved to Houston, & the family was blessed with three beautiful children. She worked in several insurance related businesses, including her last job as a claims examiner. They decided to return home & raise their family in Fredericksburg. She joined this agency in September, 1999 & obtained her life & health license in 2000. The most rewarding aspect of her work is helping people in this community, & meeting the new folks who have chosen to make Texas their home. 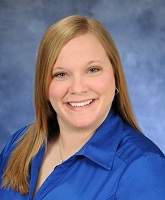 Ruth is a licensed commercial lines account manager & has been in the insurance industry since 2002. She has a certified insurance service representative designation & currently working on her certified insurance counselor designation. 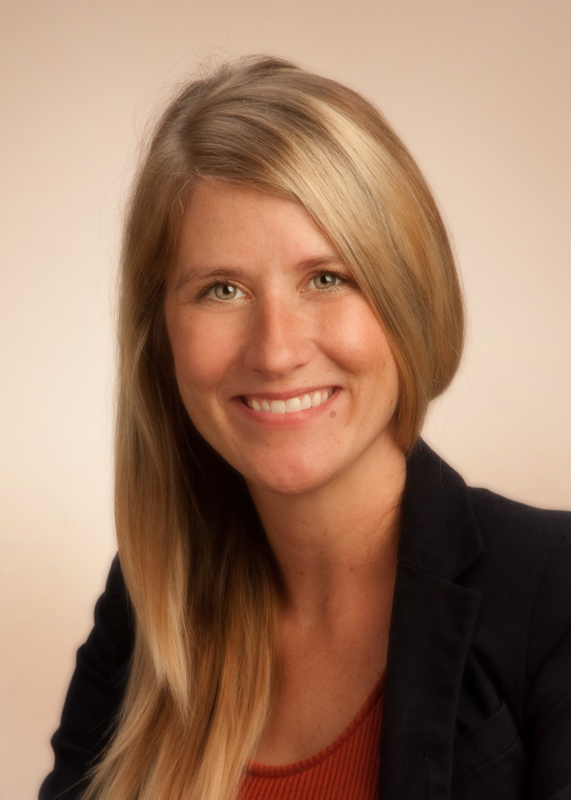 Ruth joined the agency in 2014, & has lived in the Texas Hill Country for 3 1/2 years. She spends most of her free time with her family. 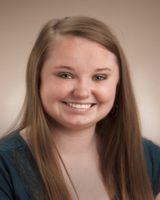 Kaley is the Personal Lines Agent in our Fredericksburg office and is experienced in Home/Auto Insurance products. She has access to several A-rated or better national companies which allows her to find the best applicable product for each individual client. She is committed to providing incomparable customer service to our clients and her stellar reviews continue to prove this daily. In her spare time, she enjoys spending time with her husband, two children and two family dogs. Lori is new to the insurance industry and excited to be on staff, learning from the ground up as the receptionist. She previously spent the last 27 years working with a non-profit organization, taking care of the children in our community. She is preparing to complete her life & health license, and is looking forward to being able to continue helping the families in this community. Jasmyn recently joined our team and, most likely, will be the first voice you hear when calling our office. She holds a Property & Casualty License & has had many years in the customer service industry. She was born & raised in Kerrville, & recently moved back to raise her son in this wonderful community she loves to call home. Angie is a Fredericksburg native who's kind heart and soft voice make for a warm welcome as she answers the phone in her receptionist position at our Fredericksburg branch. 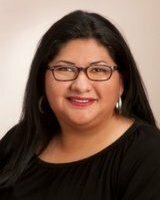 She comes from a background working in non-profit business organizations and is an active volunteer in the community of Fredericksburg and neighboring counties. She is supported by her husband, daughter, and two dogs who push her to learn and advance in the insurance business. Julie is the sixth generation to live in Gillespie County. She and her husband John have both lived here their entire lives. They married in 2002 and have four beautiful children. New to the insurance business, Julie carries years of experience in customer service and enjoys making her customers feel special. She looks forward to being a familiar face and providing old fashioned, hometown, friendly customer service! 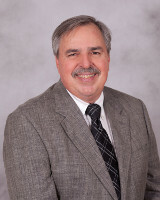 Bob is an agent for Garrett Insurance Agency, Inc and has spent his entire career with the agency. 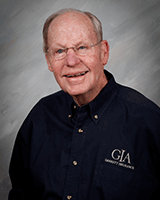 After over four decades, he still enjoys working with people to tailor insurance products to their specific needs. Active in the community, he has served in leadership roles with the Rotary Club of Kerrville, The Museum of Western Art, Sid Peterson Memorial Hospital, Schreiner University & First Presbyterian Church. Trenton W. Richmond, AFIS has agricultural roots in central Kansas before spending almost 20 years successfully building an agency in Norton, KS. Trent’s positive presence, his drive, and his ability to capture a vision, develop a plan, and assemble diverse teams to execute the plan plays a key role in the future growth of [GIA/FKK]. Patty joined our office in the summer of 2013. She is in charge of our accounting/bookkeeping. 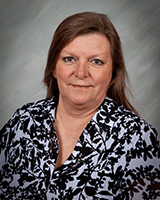 Patty has worked as a bookkeeper for over 22 years in the Kerrville area. In her spare time, she enjoys spending time with family, including her two adorable granddaughters. Brenda joined our agency in 2015 & is our assistant bookkeeper.